Freestanding emergency departments bring the ED to the community. Freestanding emergency departments (EDs) represent a relatively new paradigm of health care delivery. This innovative delivery of health care takes the ED experience out of the hospital and places it right into patients' communities. The concept was introduced in the 1970s, but the facilities are still establishing solid grounding. There are many questions about freestanding EDs that are unanswered: How much radiologic technology is necessary? Will economic considerations—eg, compensation from insurance—trump further development? Can proselytes convert remaining doubters? • freestanding urgent care facilities that handle body traumas resulting from the more mundane, but no less serious, injuries such as broken bones suffered in a fall from a high ladder or a laceration from a misused tool. • has policy agreements, procedures, and resources in place to provide effective and efficient transfer to a higher level of care such as a cardiac catheterization lab, surgical center, or ICU, if needed. • A facility must provide an appropriate medical screening exam for anyone seeking medical care. • For an emergency medical condition, the facility must treat and stabilize the patient or transfer the patient. • A facility must not transfer a patient who has not been stabilized unless several conditions are met. Also, this federal law addresses the issues of patient insurance and uncompensated care, both of which are growing concerns because they present a burden that has decreased ED resources and even resulted in facilities closing. EMTALA requires that anyone who requires care be stabilized and treated, regardless of their insurance status or ability to pay. ACEP advocates for recognition of uncompensated care as a legitimate practice expense for emergency physicians and for federal guidance on how to fulfill EMTALA requirements, even as uncompensated care burdens the nation's emergency care system. EMTALA underscores the importance of all requirements and guidelines by indicating that "everyone is only one step away from a medical emergency." 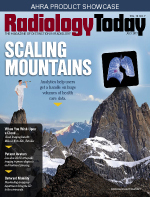 As the amount of radiologic technology is not part of the regulation script, the level of radiology resources in an ED varies widely—from just X-ray to several modalities that lead to interventional care. In general, urgent care facilities only conduct basic testing, such as blood pressure and blood sugar readings. Rarely is such a facility equipped with radiology services. But at freestanding EDs, as the injuries or conditions treated include anything from muscle strains to major strokes, the facilities house state-of-the-art equipment that enables rapid diagnosis and, in turn, quick treatment strategies. Sometimes an X-ray is all that's necessary for a clinic's necessary functions. "That's routinely available," says Edward Zaragoza, MD, clinical director of imaging informatics and acute care imaging chief at UCLA Health. "Often, it provides all that we need to know. Thus, it can be a first line of defense. Other times, it isn't the last word, and we need to get the patient to another ED in a nearby facility, where more modalities are readily available." So, stepping into many freestanding EDs, you also might find CT scanners, ultrasound machines, and maybe an MRI scanner. A facility may have to do without an MRI machine, however, due to economics, facility size, and proximity to a related hospital. "While freestanding ED radiology resources run a gamut, a hospital emergency setting will have X-ray, CT, and MRI capabilities, among others," says Michael A. Bruno, MD, FACR, a professor of radiology at Penn State College of Medicine and chairman of the Emergency Radiology Committee of the ACR Commission on General, Small, Emergency and/or Rural Practice. "But it would be unusual for a freestanding ED to have CT, and even more unusual for MRI." Bruno offers another factor that could shape a scenario: "A facility might not have an onsite emergency radiologist, which means it could take several hours to get a finalized radiology interpretation." Peter Semczuk, DDS, MPH, senior vice president and executive director of the Moses Campus at Montefiore Medical Center, explains why the New York-based system foregoes MRI at its freestanding emergency facility, which was the first freestanding ED in New York State. "The main reason is that MRI is so expensive, and when you have easy access to MRI machines in your health system, and a patient can be easily moved throughout the system, it just doesn't make sense to have MRI in a freestanding department." Lori Edelman, director of nursing, emergency services at South Nassau Communities Hospital, reports that the organization's freestanding ED is equipped with both X-ray and CT capabilities. She explains how this came about: "Hurricane Sandy placed [Long Beach] in a difficult situation as far as access to health care." The destructive storm was especially devastating to New York State shoreline communities. In its wake arose an emergency facility on Long Beach, a barrier island whose residents had little or no access to immediate health care. "After much research and economic analysis, South Nassau Communities Hospital wanted to assist," she says. Assistance started with an urgent care center then graduated to a freestanding ED. "We wanted to serve the community's need," Edelman recalls. "The emergency room is staffed by the same members of the South Nassau ED main campus in Oceanside. We established parameters to stabilize patients and transfer them to a higher level of care when necessary. We have the capabilities to take care of heart attack and stroke victims, and that includes radiology, specifically CT scanners for stroke." As indicated by ACEP and EMTALA guidelines, all established freestanding EDs are equipped with all the resources to provide full emergency care delivery. If a patient opted for such a facility over a hospital ED, the decision would not place the patient at any risk. Health care delivery is equal. Wait times are also greatly reduced, an advantage that benefits both facility operators and patients. The long lines found in typical hospital ED settings are rare. Patients are seen and treated quickly. Generally, this results in greater patient satisfaction and better patient outcomes for the operators. "Hospital ERs are overburdened and overcrowded," Semczuk observes. "A freestanding ED eliminates the long waits. That's attractive. Patient satisfaction surveys show this. A patient can come in and see a physician within 15 to 20 minutes. If patients need more care, they have access to a bed in the system." Those benefits are factored into the decision to go with a freestanding option. "We had all of the metrics in place," Edelman says. "Our satisfaction ratings have been as high as 97%, which is almost unheard of for these types of facilities. If a patient needs to be admitted, we can quickly transfer them to the hospital." A substantial plus for the operators is that freestanding EDs can charge the same fees as a hospital ED, even though the costs associated with providing service are nowhere near as high. This translates into profit. Another frequently cited benefit is a freestanding ED's convenient location within a community. At the same time, Semczuk discourages opening a freestanding ED unless it is part of a larger health system. "If a seriously ill individual needs inpatient services, they have to be moved very quickly," he explains. "You don't have the luxury of taking care of the patient right there. You must stabilize the patient, provide the available medical care, and rapidly transport them to the hospital setting, where they can benefit from the most appropriate care—cardiologists for heart patients, for instance." Those doubtful about the value of these clinics point to potential negatives, such as billing. Observers say a patient could be surprised by what he or she perceives as hidden costs. The onsite charge of $300 could be dwarfed by the expenses outlined in the follow-up mailed billing. Bruno says that problem may be due, in part, to the fact that people often don't understand the difference between an urgent care facility and a freestanding ED and may not completely understand which type of facility he or she has chosen. "Urgent care facilities really are for patients who have a lower level of acuity, such as having suffered lacerations or a broken bone. A problem with [urgent care] centers is that some patients go to the urgent care facilities thinking they're receiving what a hospital ER setting provides," he says. "But the level is not as high in [an urgent care center], as they aren't designed to treat conditions that are critical emergencies, such as stroke and heart attack. If a heart attack patient entered an urgent care center, the staff would likely call an ambulance and have them taken to a hospital. "In a freestanding ED, however, the quality of care is just as high as a hospital ER," Bruno says. "The clinics conform to the ACEP/EMTALA standards and operational guidelines." Bruno describes it as a caveat emptor situation: Consumers should educate themselves. Take a look at a facility's website, Bruno advises. Pay particular attention to staff and equipment resources, the hours that it's open, physician qualifications, and the level of staff support. "This may seem a great deal to process during a medical emergency, but as freestanding centers are part of a community, the consumer should already be aware of what's available," he says. "If someone's gout flares up during the night, or if they cut their hand while slicing a bagel, urgent care facilities are a convenient place to go. There are no critically serious conditions in line ahead of you." Brad Shields, executive director of the Texas Association of Freestanding Emergency Centers, says freestanding EDs are making it very clear that, as an ED, the billing is termed as an ED visit. "The billing is very consistent with a hospital ER," he says. "The EDs make it very clear who and what they are." One way that freestanding EDs do this is with bold, clear, and well-posted signage. "There are signs on the street and on the building. Also, it's very clear in the papers that patients sign. They acknowledge that they know they're in an emergency room setting. NAFEC [the National Association of Freestanding Emergency Centers] takes this very seriously. Statutes require us to do that. We're as transparent as possible," Shields says. Some industry observers say that freestanding EDs tend to be located in affluent communities and not in poor or nonwhite areas, but many freestanding EDs are opening where they are needed—in rural areas, for instance. "Other states in the country have a lot of rural territory," Edelman says. "In such places, some EDs are even equipped with heliports for rapid transit to a hospital." In Texas, a large state with a lot of open territory, the concept is witnessing widespread growth. "Hospitals now offer freestanding emergency centers, and the sector of independent EDs is growing," Shields says. "In Texas, there are both models. The state's health department statutes allow for both, so we are seeing tremendous growth in both categories." Indeed, the freestanding ED industry is rapidly expanding. However, such facilities are not yet available in all 50 states. Semczuk explains why: "Different rules and regulations in different states prohibit the establishment of freestanding EDs. There's a lot of old thinking still out there that believes an emergency facility needs to have inpatient beds. The idea of freestanding emergency care is different, revolutionary. I think that's the biggest reason why some people are against it." Shields agrees. "Whenever there is a new model for health care delivery, people are either threatened by it or have not accepted or adapted to it." But "old thinking" is giving way to neophilia. Currently, these facilities are available in Alabama, Arizona, Colorado, Connecticut, Delaware, Florida, Indiana, Iowa, Maryland, Michigan, Mississippi, Nevada, New York, North Carolina, Ohio, South Carolina, Texas, Virginia, and Washington. "The fast-track clinic is here to stay," Zaragoza says. "We're seeing more than less."